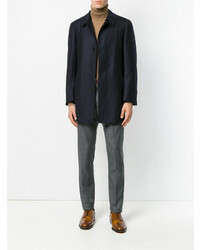 If you're after a casual yet dapper ensemble, make a Canali Single Breasted Coat from farfetch.com and black skinny jeans your outfit choice. As well as super comfy, these items look fabulous together. Lift up your getup with brown leather chelsea boots. As you can see, being a dapper dude doesn't require that much effort. 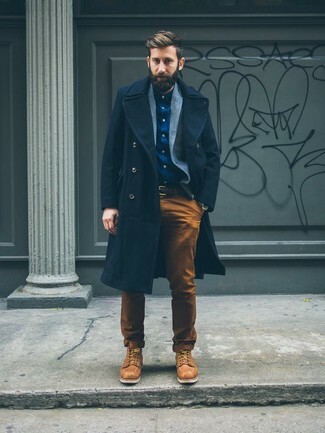 Just make a navy overcoat and tobacco chinos your outfit choice and you'll look incredibly stylish. 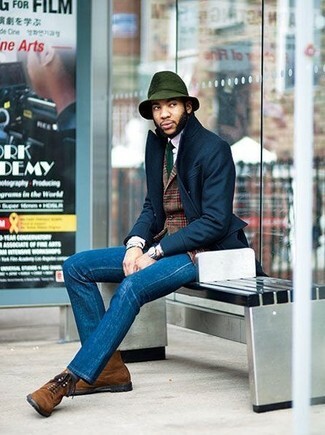 For something more on the daring side to finish off this getup, choose a pair of tan leather work boots. As you can see here, getuping sharp doesn't require that much effort. 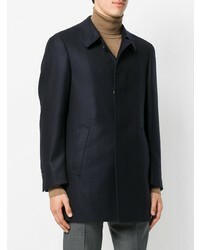 Just make a Canali Single Breasted Coat from farfetch.com and beige chinos your outfit choice and you'll look great. For a smart casual ensemble, pair a Canali single breasted coat with white chinos — these pieces go pretty good together. 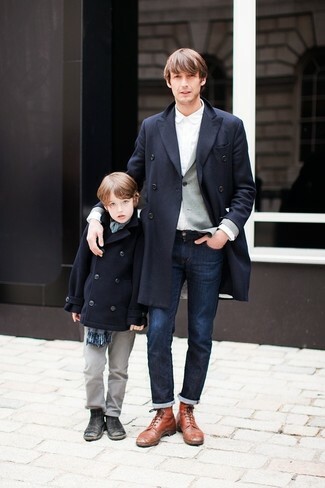 Rock a pair of dark brown leather desert boots to make the ensemble current. As you can see, being a dapper dude doesn't take that much time. 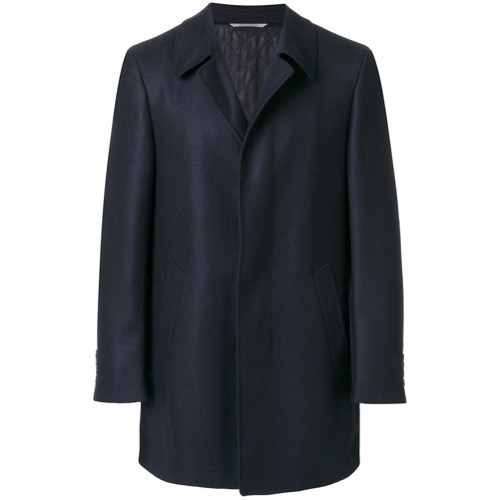 Just pair a Canali navy overcoat with blue jeans and you'll look wonderful. 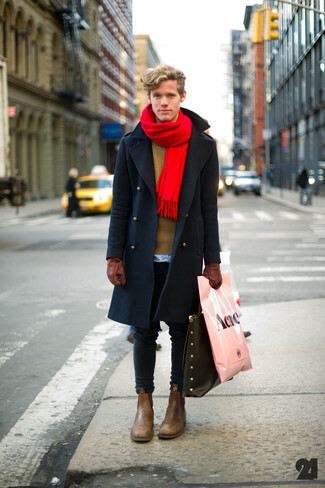 When it comes to footwear, this ensemble is complemented nicely with brown suede casual boots. This combination of a Canali navy overcoat and navy jeans is super easy to pull together without a second thought, helping you look dapper and ready for anything without spending too much time searching through your arsenal. 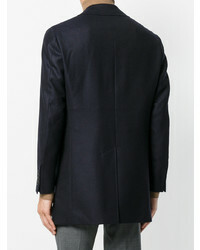 Balance this look with brown leather casual boots. 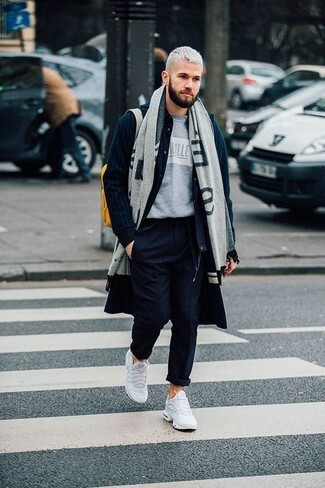 This combination of a Canali navy overcoat and navy chinos is super easy to pull together in seconds time, helping you look stylish and ready for anything without spending a ton of time rummaging through your arsenal. Go for a pair of white athletic shoes to have some fun with things. 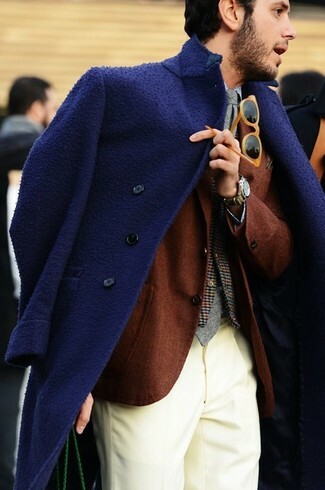 If you're on the lookout for a casual yet dapper look, rock a Canali single breasted coat with grey skinny jeans. Both of these pieces are very comfy and look amazing together. You could perhaps get a little creative in the footwear department and elevate your outfit with brown leather dress boots. 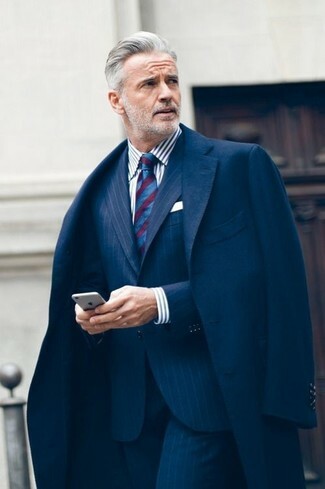 For a nothing less than incredibly stylish ensemble, pair a Canali single breasted coat with a navy vertical striped suit.